The March IBA assignment was Mini Madness – a paper piecing project that finished no larger than 24 inches. We could choose English paper piecing or regular paper piecing. I knew I couldn’t handle another hand work project so I chose regular paper piecing. I wanted something light and spring-like. Choosing from the treasure chest of Island Batiks has been really fun. This mini has a total of 10 different Island Batiks! The star center was fun to piece. After staring at the pieced star for several days, I knew it needed more than a plain border. Several sketches later, I chose to do a paper pieced border. Boy! This was time consuming! It was worth it – I think it really compliments the center. 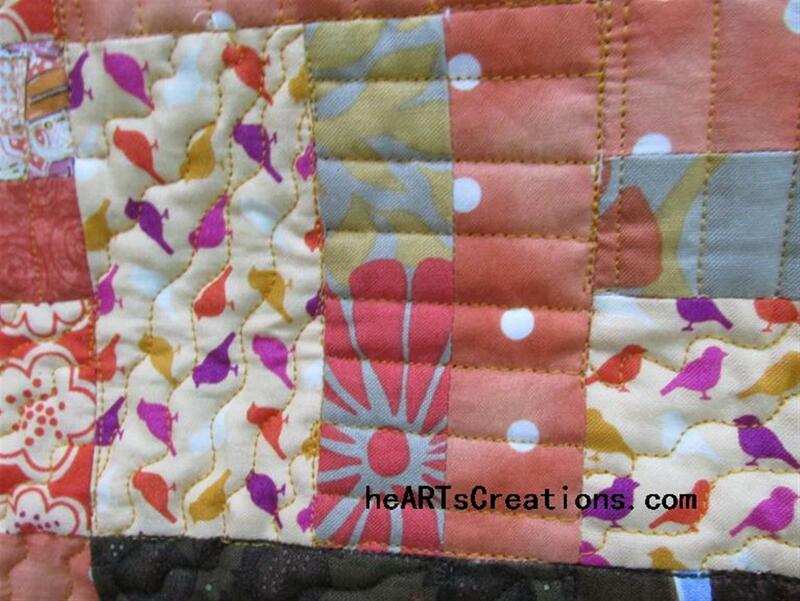 A fun batik outer border and time to quilt. One big spiral and I now have a fun, pretty and spring-like table topper for my dining room table. Try your own mini-madness – it’s very satisfying to do a smaller project and complete it in just a couple of days! Be sure to check out the other Island Batik Ambassador posts to see their creations! Posted in Art, block pattern, Color, Fabric and tagged batiks, Color, mini quilts, projects, Quilting, spring. Bookmark the permalink. Daffodils and so much more are in bloom, temps have been very moderate for spring, all of which makes staying in the studio a little tough. I also was gone for a week to Florida in January and last week four days to Charleston, SC. I did, however, manage to complete a 16 patch that was started two years ago! 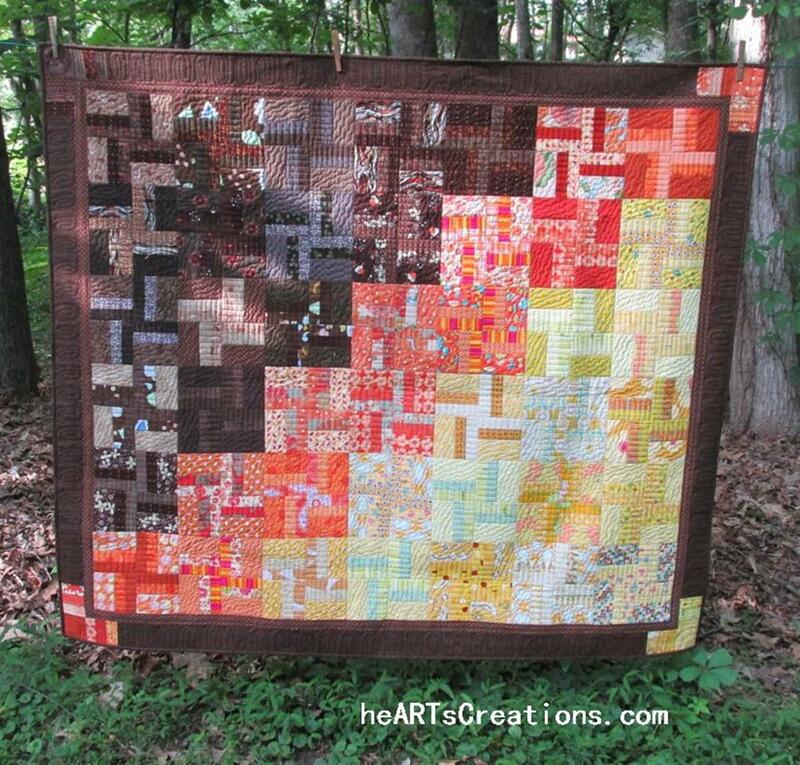 I love the brightness of this quilt. All shot cottons were used. These fabrics were a bit challenging to use especially when quilting. I found a secret to using shot cottons is to starch, starch, starch! It was an appropriate finish for this early Spring – I couldn’t resist a pic with the daffodils. When it was complete, I looked at all the finished quilts in my home (no, I won’t try to give a number!) 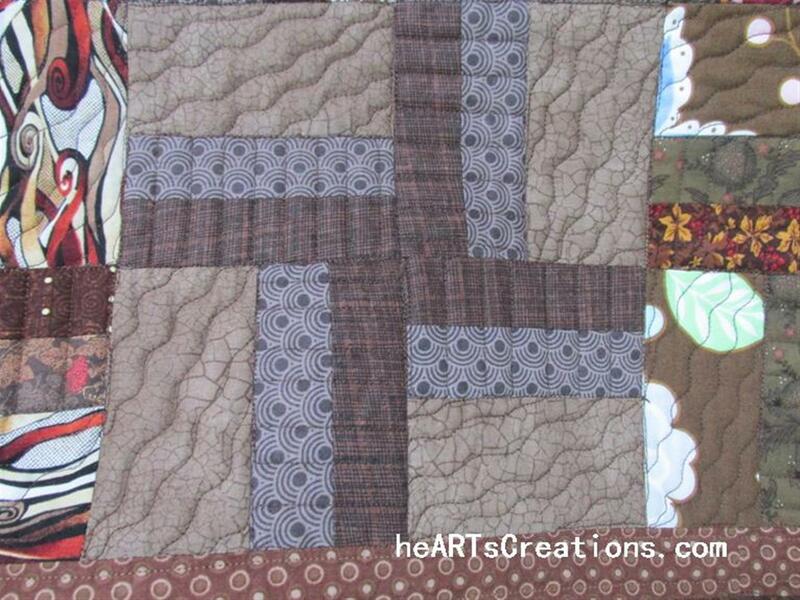 and decided this quilt was better designated as a Hospice quilt. It should bring some brightness to a patient or family member. Posted in Art, block pattern, Color, Fabric, Projects, Quilt Setting, Quilting, Scraps, Stash, Tips and tagged Blocks, Charity Quilt, Color, Fabric, projects, Quilting, Quilts, Sewing, Shot Cotton, spring, Tips, UFOs. Bookmark the permalink. 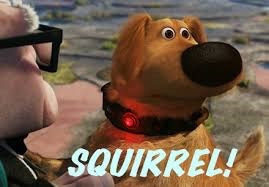 Know what this is?! For a little more than 40 years I have had an outdoor clothesline. All our laundry is no longer hung outside on a regular basis due to allergies from pollen, but I do manage to hang some things out, especially in the winter. Recently, when I grabbed the clothespin bag I’ve had since day one, I couldn’t help but notice how shabby and threadbare it was. How the clothespins were staying inside was amazing. So…off to the home dec fabric bin to pic out something light and spring like. The home dec fabric is a heavier weight than quilting fabric and was the most practical choice. I simply copied the original bag making just a couple of tweaks. The original bag had a paper cord that I replaced with a cable from my hubby’s electrical supply stash. I used button holes instead of grommets and used the original sturdy hanging frame. And Ta Daa!! A new clothespin bag sure to hold up for the next 40 years! Posted in Color, Fabric, Projects, Stash and tagged projects, Retro, Sewing, spring. Bookmark the permalink. Out came the yellow, orange and brown scrap bins. I pictured a warmth and brightness with these colors. The stick pinwheel blocks were easy and fairly quick to put together. I arranged and rearranged the blocks so many times on the design wall. I altered colors, put them in rows and once I started to group the like colors I liked it better. The arrangement I chose just sort of fell into place. I love it! 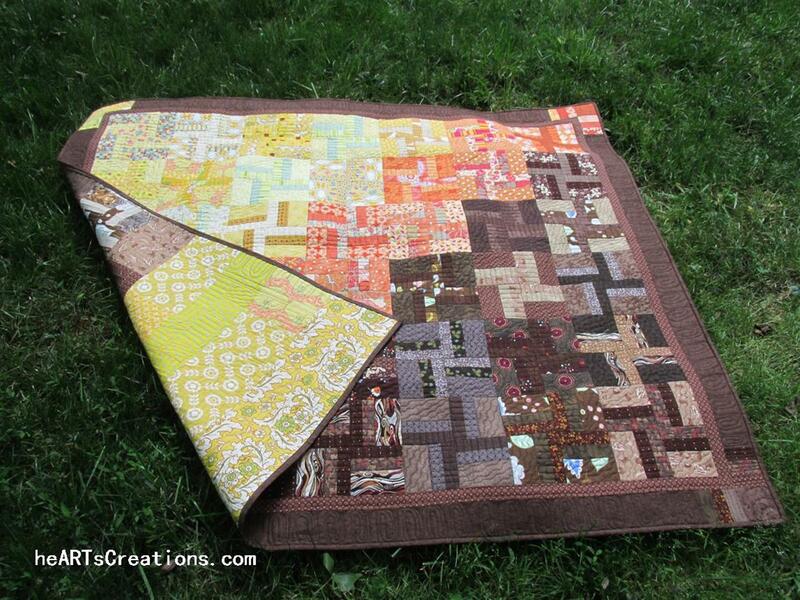 Borders can really enhance a quilt and bring it to life. I pulled the “sticks” into the border corners coinciding with their colors. I think it pulls the colors out and then are enhanced by the brown borders. I also scrappy pieced the backing. Usually when I do a scrappy quilt, the bins appear to have the same amount of fabric in them as when I started. Not so this time – score!! There aren’t many oranges left and very few yellows. Even the browns are somewhat limited. Yeah! A true scrapbuster!! 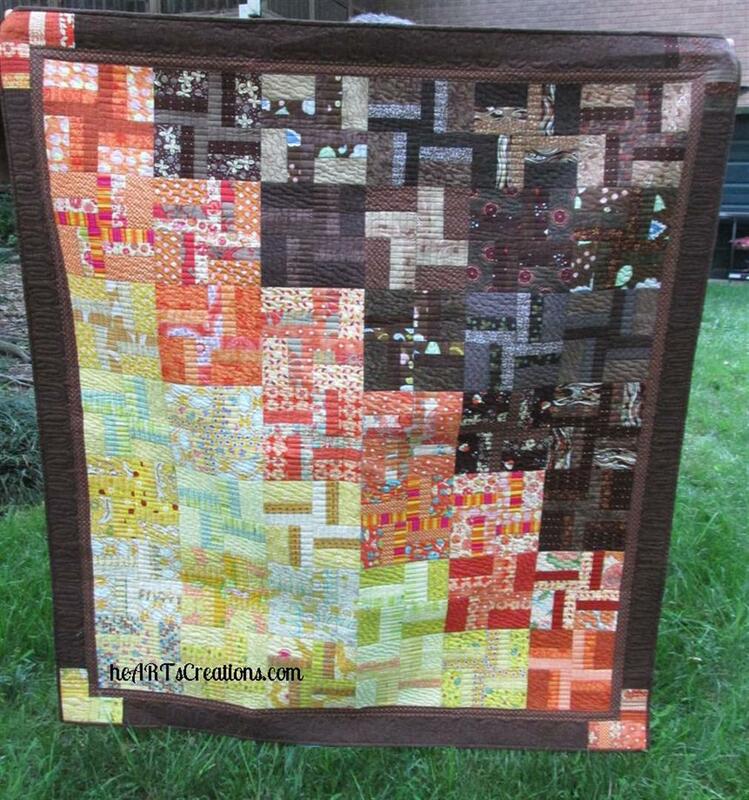 I love how my quilter quilted this one. 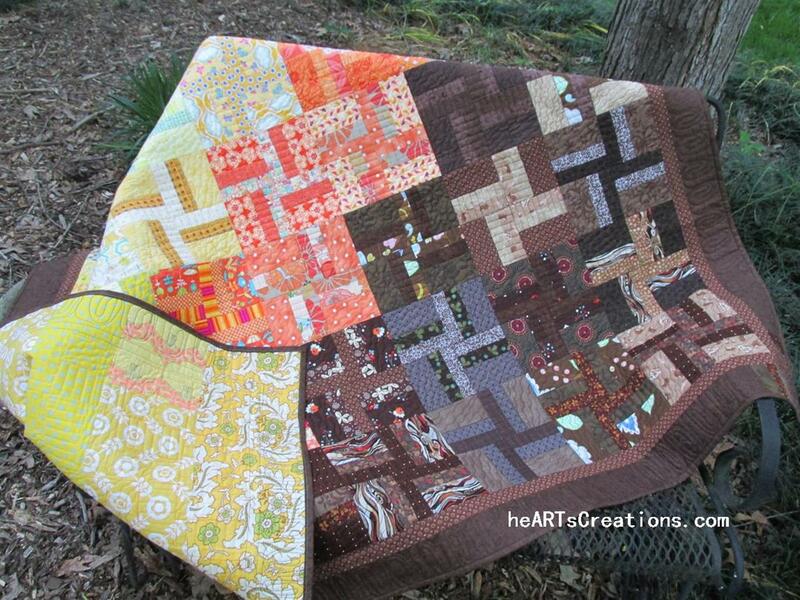 She used both curvy lines and straight – a great vision for what this quilt needed. Posted in Art, block pattern, Color, Design Wall, Fabric, Pattern, Projects, Quilt Setting, Quilting, Scraps, Stash and tagged Borders, Color, Fabric, Machine Quilting, Patterns, projects, Quilting, Quilts, Scraps, Sewing, spring, stash. Bookmark the permalink.